What do you do when you discover that the children you have are not yours? This is a reality that a lot of men have discovered through DNA test and a lot of marriages have been destroyed because of this deceit. Couples especially women should not be deceitful when it comes to the paternity of their kids no matter the situation of things. A week ago, ex-Ghanaian football star, Odartey Lamptey broke down in tears during an interview on GHOne TV’s with Nana Anamoah where he spoke about discovering that three children with ex wife of 21 years were not his. During the divorce ruling, his ex-wife defended herself by saying Lamptey was impotent and couldn’t have children. Odartey Lamptey has since remarried and has two children. In this new interview, he shares how he became a new man and how happy he feels each time he holds his new kids in his arms. 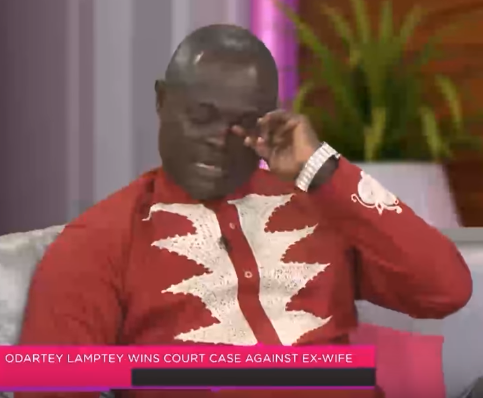 Former Ghanaian international footballer Nii Odartey Lamptey has revealed that he recently found out that all three children he had with his wife of almost 20 years are not his biological children. He made the shocking revelation in a radio interviewed when asked why he was divorcing his wife. 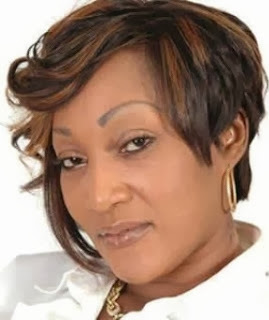 Meanwhile, his estranged wife Gloria Lamptey (pictured above) is claiming that it was Lamptey who suggested they use artificial insemination after realizing he was infertile. A claim Lamptey denies. A close friend of the former Anderlecht footballer said he’d on several occasions caught his wife cheating on him but stayed with her because of his love for her and the businesses they own together.